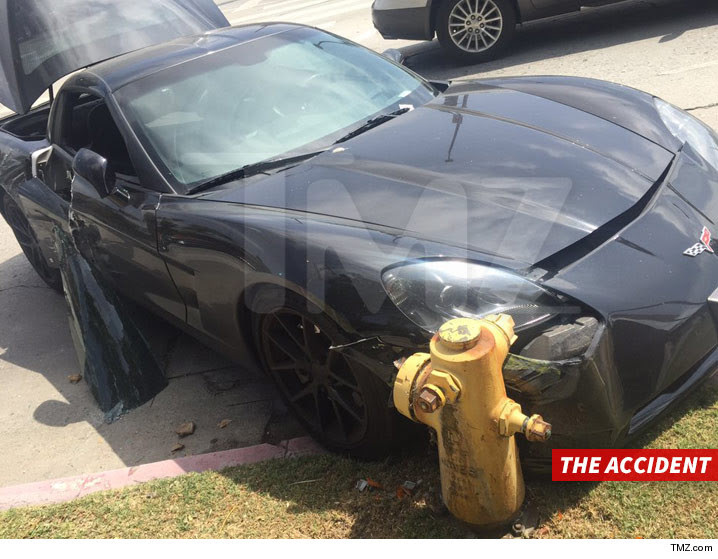 Just days after winning a Daytime Emmy Award, General Hospital star Bryan Craig crashed his Corvette into a fire hydrant in Hollywood. According to TMZ, Craig was driving on Wednesday when a woman in a Jeep ran a red light, causing him to veer off the road. The woman stuck around and exchanged information with the actor, who was feeling the pain today after suffering some bumps and bruises. It looks like the Corvette has been totaled. Craig plays Morgan Corinthos on GH. I am glad he's alright!